I almost left the doctor’s office without taking a picture of the sign. 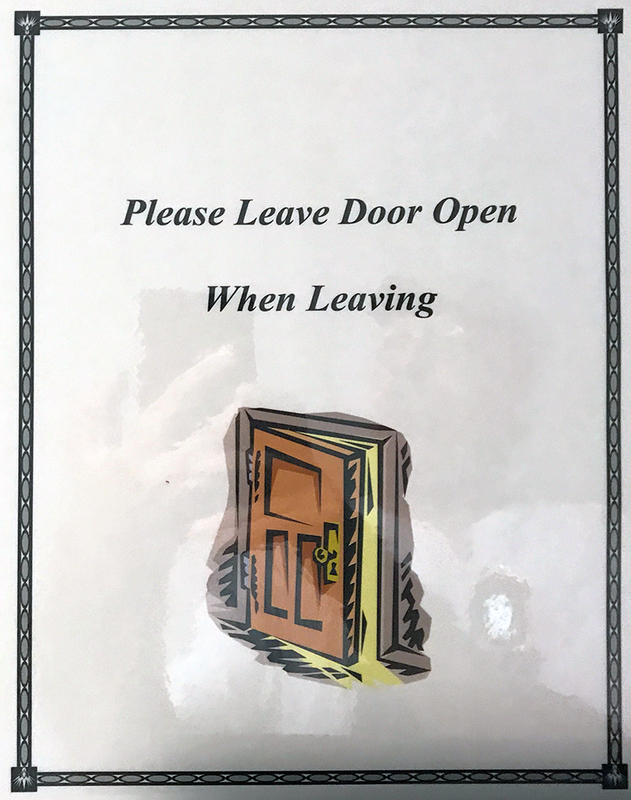 It’s not the worst door instruction sign I ever saw. The worst one read: “Keep Door Closed at All Times.” I’m on the lookout to photograph that one if I ever see it again. This one almost qualifies to be entered into the Department of Redundancy Department archives. This entry was posted in Personal Stories and tagged artistic process, door sign, found art, photography, portraiture, self portrait, signs, visual arts. Bookmark the permalink.